Jerome Bruner is one of the grand figures of psychology. From his role as a founder of the cognitive revolution in the 1950s to his recent advocacy of cultural psychology, Bruner′s influence has been dramatic and far-reaching. Such is the breadth of his vision that Bruner′s work has inspired thinkers in many of the major areas of psychology and has had a powerful impact on adjacent disciplines. His writings on language acquisition, culture and education are of profound and enduring importance. 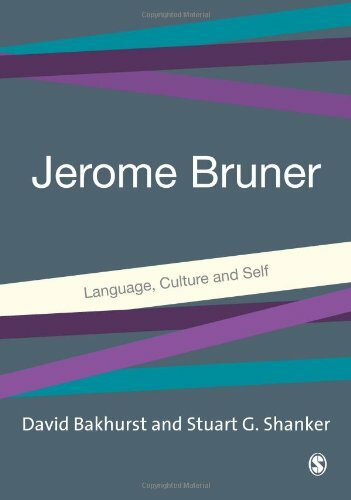 Focusing on the dominant themes of language, culture and self, this volume provides a comprehensive exploration of Bruner′s fertile ideas and a considered appraisal of his legacy. If you have any questions about this product by SAGE Publications Ltd, contact us by completing and submitting the form below. If you are looking for a specif part number, please include it with your message.